Earlier this month I went to Vienna for the 57th session of the Commission on Narcotic Drugs (CND), part of the United Nations Office on Drugs and Crime (UNODC). There I chaired a working group that presented a set of recommendations to the CND concerning the most appropriate, scientifically informed way to approach the problem of substance use disorders: as a medical, not a legal, issue. It was a very productive and encouraging meeting. I and the other members of the Scientific Consultation Working Group on Drug Policy, Health and Human Rights were in complete agreement that substance use disorders are a disease—caused by developmental, biological, neuropsychological, and psychosocial factors—and thus should be addressed within a public health framework. We recommended to the CND that healthcare systems should take primary responsibility for addressing substance abuse and addiction through implementation of evidence-based treatment and prevention, as well as screening in primary care settings. We also recommended that health ministries of respective countries should support such an approach to dealing with substance use disorders by allocating sufficient funds to meet their countries’ prevention and treatment needs. No one would imagine that enforcing tough legal sanctions on people with a chronic condition such as heart disease could help address that illness or its causes, or help prevent it in others. Criminal justice is clearly not the way forward in dealing with substance use disorders either; putting people with addictions in prison and perpetuating various legal barriers to seeking or providing substance abuse treatment are only hindrances. Addiction is a medical issue, and the member countries of the United Nations will make progress in addressing it when it becomes the full responsibility of their healthcare systems. In 2016 the UN General Assembly will hold a Special Session on the World Drug problem. Our committee recommended that, in preparation for this, the UNODC should support the CND to develop a global integrated strategy on prevention and treatment of substance use disorders in collaboration with the World Health Organization. We also recommended that the CND form a permanent council of scientific advisors on these issues. The recommendations of our committee crystalize a paradigm shift in how the problem of substance abuse and addiction are viewed by modern societies. Shifting the problem of drug abuse and addiction from the legal (or moral) sphere to that of science and medicine, where it properly belongs, is a crucial step toward successfully tackling the problem. Now we can focus on the disease. It is refreshing to see a larger push for a scientific based approach to drug addiction. I am exhausted from the constant hateful arguments over the morality of those experiencing an addiction. Science uses evidence and leaves the emotions for the emotional. I, myself, am willing to participate in any way that I can to make this a national focus. The local communities are still living in the "dark ages" of the "drug war". We cannot arrest and punish our way out of addiction. Generations of addiction, negates the idea of a moral choice. A child absent of the education of "morality", cannot be expected to model those behaviors. The idea that drug addiction is a disease like heart disease is folly. Drug addiction today for the most part starts with recreational drug use which has become acceptable in our modern society. It's also folly to say that people have been jailed for drug addiction. Crime may be a result of ones addiction and for the crime committed jail may result. Heart disease patients don't cause havoc in the family or workplace like drug addicts do. If we focus on addiction as soley a health issue and not as an enforcement issue we will waste a ton of money . Prevention is the answer. If you are convinced that drug addiction is a medical issue and not a legal one then it is about time you speak to the President and the Attorney General and the DEA and tell them all that they should back off the drug arrests. The Attorney General said in testimony before Congress that drug convictions make up 30% of all federal convictions and a similar amount of state and local convictions. That requires a lot of money to make all those arrests and have all those trials and to incarcerate all those people. He presented no testimony that this policy would change. In ten years of correctional ministry and paraprofessional addictions treatment I never seen a single person who went down on an addiction charge, I can't even find a state or federal statute making addiction illegal. Now I have dealt with a few who murdered, committed armed robbery, burglarized, wrote bad checks, fraudulently used credit devices, drove drunk (sometimes chronicle) failed to pay child support, all to support their addictions. We are not sending people to prison because they are addicted, we are sending people to prison because they commit crimes. Further in my experience many of these are given every opportunity to address their addiction to the point of tax payer sponsored treatment before they ever get any serious jail/prison time. 90% of those I deal with have been to treatment at least 3 times before they finally ended up doing time. Yes addiction is a disease but still one of choice and consequences. The legal consequences are a result of poor decisions .No-one is saying that there are 'immoral addicts" but that morality as a concept of living in a society with guidelines to acceptable behavior surely means that behavior that 'society" collectively deems as unacceptable needs "punished"
Hola, mi respeto y admiración, Sra. Volkov. Soy farmacéutico desde hace 22 años y terapeuta en drogodependencias desde hace 4. Gracias a que la clínica Instituto Hipócrates en España entiende la Enfermedad de Adicción como usted y aplica la terapia Cognitvo - Conductual de Grupo, hoy puedo estar vivo para escribir este mensaje de agradecimiento a la gente, que como usted, investigan sobre esta enfermedad tan mal vista, por desconocida, por la sociedad. El año pasado asistí al Congreso de Patología Dual de Madrid para conocerla, pero no pudo ser. Espero poder conocerla pronto. Un abrazo, Víctor. Addiction is a disease of the brain that affects moral integrity and leads to the violation of trust of their loved ones, other relationship and the society they live in. Until we start addressing the social ramifications of addiction, we will be wasting our time as a society. There are crimes associated with addiction, there are victims associated with addiction, there are humongous losses associated with addiction, loss of opportunities are associated with addiction. Diabetes and hypertension do not share these social issues and do not victimize the rights of others and the society. Like some commenters on this article, I've dealt with addicts and the consequences of their addiction for a number of years. I have to forcefully disagree with those who say that addiction is a moral failing and not a disease worth treatment - as well as the supposed "fact" that most addicts who end up in the legal system do so for actions outside of their usage. Of course there are plenty of people in jail for actions related to their actions while impaired, but there are also a very large number of people in jail for simple possession or possession with 'intent to distribute' (a relative charge for people with a certain amount of a drug in their possession regardless of any intent to sell - serious users use more and that requirement alone can cause the amount in their possession to be higher than some arbitrary number derived by legislatures). Addicts can definitely cause chaos and havoc in their personal relationships, work, etc. the drug has taken over their lives and the need or obsession to obtain more drives a lot of this behavior (lie, cheat, steal). But of the addicts I've known and worked with, few are irredeemable or deserving of having their liberty stripped from them. Addiction is a disease, period. A disease that can cause some to act in ways that break laws and thus should likely serve time, but merely incarcerating an individual and depriving them of their drug of choice for however long (months to years) doesn't cure them of the obsession, rather it just delays the inevitable relapse without treatment both in and out of prison. Studies are showing this daily. The brain chemistry of addicts is different in significant ways to those that are not addicts. Several other recognized diseases can have the same effects on personal, work and other parts of life and even increase illegal behavior and yet we don't treat those people as morally defunct like we do with addicts (schizophrenia is one example). Some of the addicts I've worked with are both extremely intelligent and very good people who have been unable to control the obsession without help, and yet the medical community continues to exacerbate the problem by immediately dumping the patient upon discovery of the issue rather than treating the underlying disease. Something about "first do no harm" comes to mind. nice one anyway.I share in the idea that adiction is rather a health issue rather than legal issue.at this point all they need is love and councelling not court senence. NIDA. "UNODC Recommends Treating Addiction as Health, Not Legal, Issue." National Institute on Drug Abuse, 27 Mar. 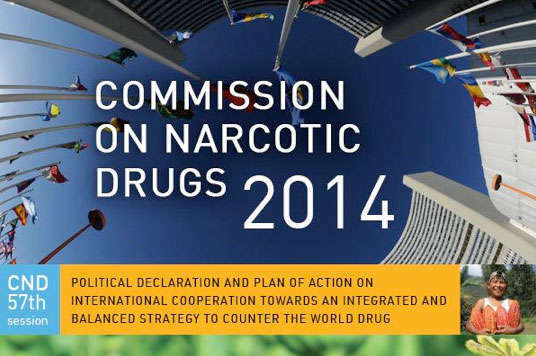 2014, https://www.drugabuse.gov/about-nida/noras-blog/2014/03/unodc-recommends-treating-addiction-health-not-legal-issue. NIDA. UNODC Recommends Treating Addiction as Health, Not Legal, Issue. National Institute on Drug Abuse website. https://www.drugabuse.gov/about-nida/noras-blog/2014/03/unodc-recommends-treating-addiction-health-not-legal-issue. March 27, 2014.